Books can be a real decorating feature in a nursery or child’s space. Here’s one way to make sure they really stand out. 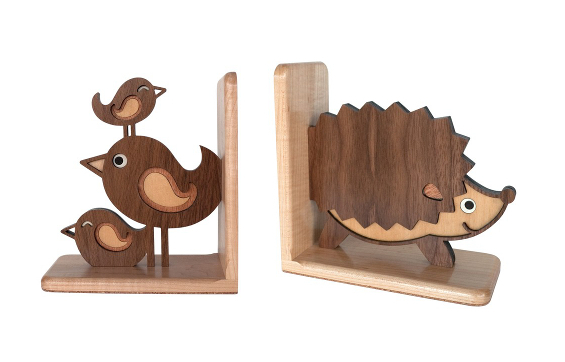 Woodland creatures, cogs and wheels, alphabet or under the sea, these beautiful bookends are perfect for your nursery, playroom or even your office. The Austin family have pooled their many skills to run the Etsy store Graphic Spaces, and their wooden bookends, clocks and decals show a real attention to detail. 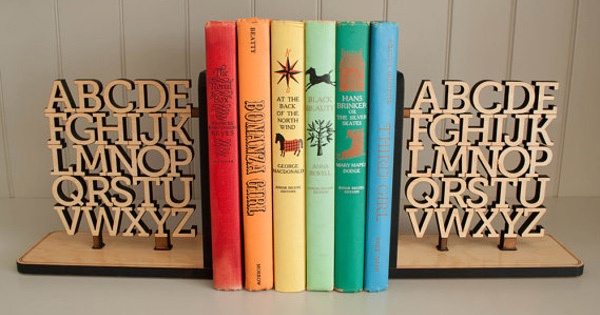 I absolutely cannot choose between the alphabet bookend and the wooden gear bookend as my favourite. 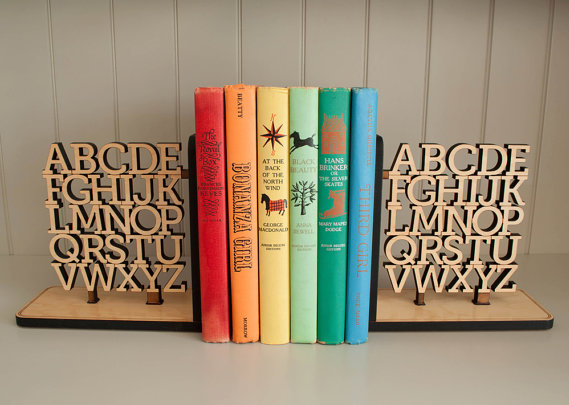 The Alphabet bookend is laser cut as a single piece and engraved so you can see where one letter ends and the next starts. 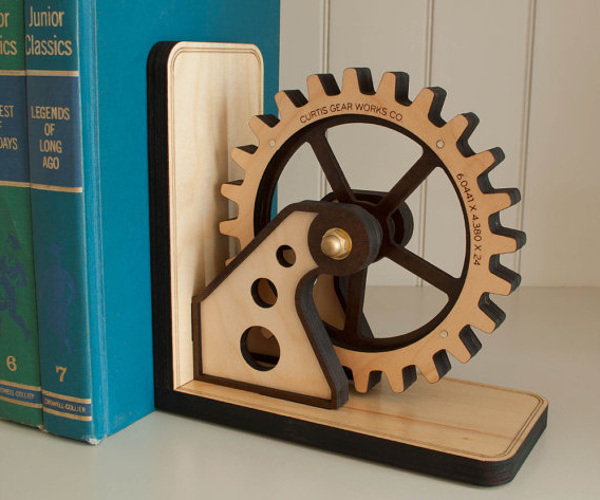 The Gear bookend actually spins, and is able to be personalised on both sides so that it can be used on either the left or the right of the shelf. If you are after a more traditional nursery theme, there are a multitude of adorable woodland and sea creatures to choose from. The bookends are sold as singles so that you can mix and match. The team at Graphic Spaces use only quality woods such as maple and oak, and eco friendly satin clear top coat to protect and finish the work. Graphic Spaces also makes beautiful wooden clocks to tie in with your theme. Prices start from $53 plus postage.